The Navigation Specialist for the Albion Health Care Alliance is located at the Cram Medical Center and provides residents with assistance in gaining access to programs and resources to support health and wellness. Please call 517-629-6578 if you need assistance. ​Neighborhood Health Visitors (NHV) NHV is a community Outreach, peer education and referral program. 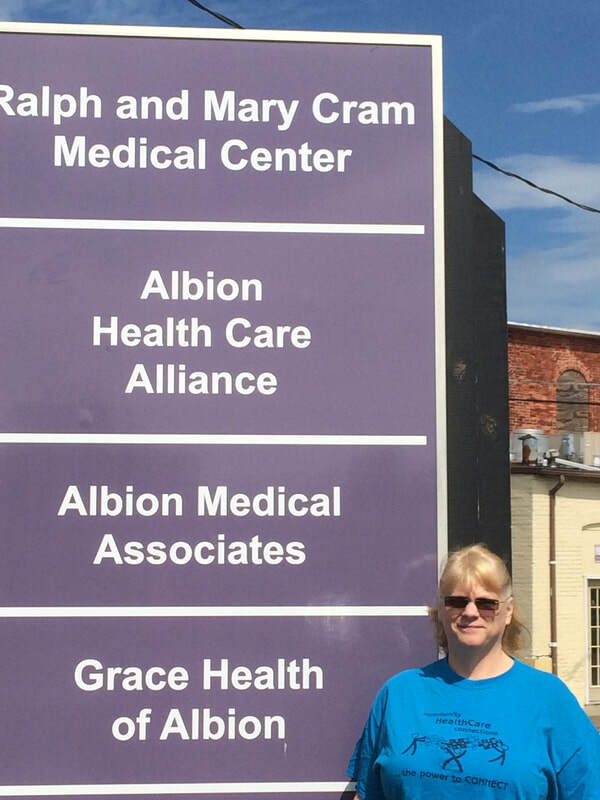 Through this program, trained health visitors go door-to-door in neighborhoods throughout Albion informing residents of available health services in Albion and Calhoun County. ​Located at 115 Market Place, this 10,000 square foot state-of-the-art medical office facility in downtown Albion is owned and managed by the Albion Health Care Alliance. Services are complemented by comfortable and attractive patient areas, and convenient on-site parking.